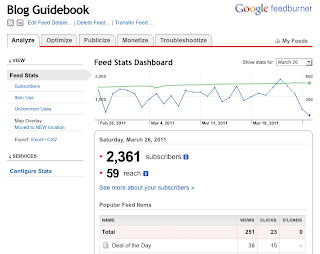 Blog Guidebook: What Is Feedburner? Have you ever wanted to have your blog posts emailed out to your readers? Have you heard of Feedburner but never knew what it was? FeedBurner provides custom RSS feeds and management tools to bloggers, podcasters, and other web-based content publishers. It's a handy dandy Google feature that you might just want to try. 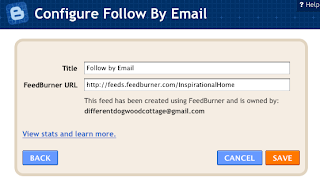 Feedburner is easy to add to your blog NOW. 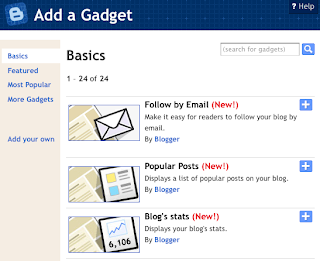 All you have to do is add it as a Gadget through Blogger (and/or other platforms). 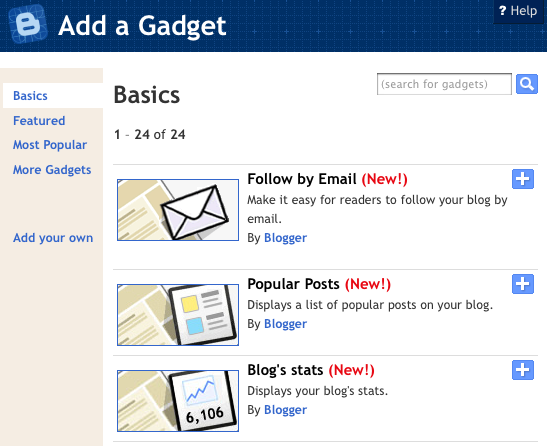 This may currently be a Indraft ability, so please check your Gadgets in regular Blogger and Blogger Indraft. Click on Add a Gadget and add Follow by Email. Your Feedburner URL should automatically be picked up by Blogger. of who read your post that day through Feedburner. How do I create a Blogger feed? How to add a Feedburner feed to my Blogger blog? Some Feedburner oddities might include: Difficulty navigating Feedburner information and getting true Feedburner statistics, and when you don't post on a particular day a random post is chosen by Feedburner to send out. And - we're wondering what's on your mind today? Is there a particular subject or question that has not been addressed here at the BGB (Blog Guidebook)? Or maybe you need us to expand on a subject already covered? Leave us a comment or drop us an email with your suggestions...we'd love to hear from you! Great info but I'm still confused-what's the difference between this new feed and the rss gadget? Good question! I better check that and see! Also, probably dumb question, but how do you get to the blog guide book? Thanks for the information! I didn't know you could get stats by clicking on your blog title. For some reason this intimidates me..I think it will lose those who have subscribed through google reader..am I crazy? Can people still use the rss to subscribe anyhow they want even if I burn it through feed burner? I have a question - what is tumblr? I used to read a blog and it disappeared, and I heard that the author now has a tumblr blog...I thought tumblr was a photo site? Is it that AND a blog site? Do tell! This may have been addressed before but why do I always get an "Invalid" message when I try to put the "Like" gadget for Facebook on my page. I am copying the link and pasting to the "create your own gadget" link. Any suggestions. burning thru Feedburner doesn't "erase" your feed from Google Reader. The only thing it'll do is make it easier to read. I am still a little confused too about how this is different than RSS (which admittedly I barely understand also). And somewhat related - is there a way to get an accurate count of how many followers I have? 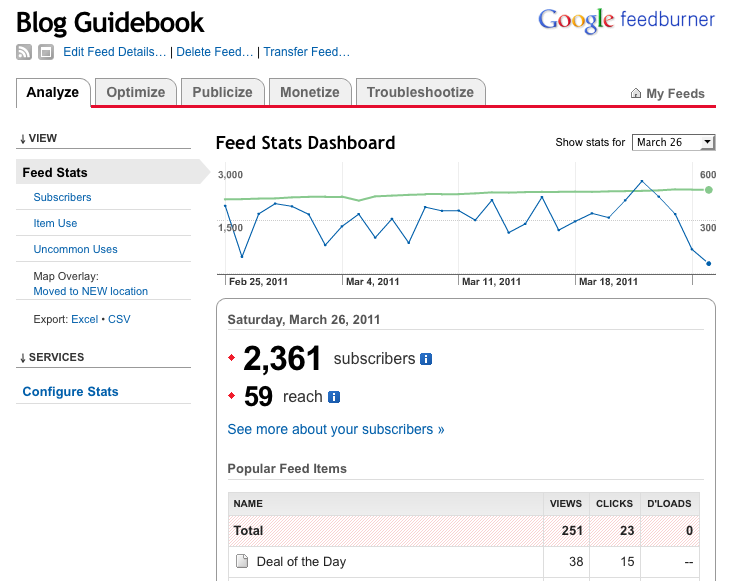 Or is it just an estimation based upon page view data from blogger and knowing I have x number of Blogger followers? If you use RSS feeds you don't necessarily need to use Feedburner. Feedburner is a sort of "middle man" to RSS feeds...it makes it easier to understand RSS. One thing I like about Feedburner is that it tells you how many have signed up to read your blog through them, and other stats like that. Not sure if RSS can do that for you. Figuring out how many readers you have is difficult to be precise about. If some people are reading through their Reader then you won't know...It's probably best to look at your stats and see how many are looking every day. OR you can add up your followers, facebookers, networked blogs, feedburner etc.